The basement level features its own external front door and 2 bedrooms, the first bedroom has 3 hotel quality zip and link beds offering a variety of sleeping configurations. An internal staircase leads up to the Ground floor, additionally the second bedroom opens off of this room and has a double bed with a shower en-suite bathroom, a washer/dryer can be found in the en-suite bathroom. The main front door enters onto the ground floor kitchen/dining room which features a table seating up to 20 with sea views from the window seat. The décor takes its inspiration from Cath Kidson fabrics and features a blackboard wall, perfect for shopping lists or leaving messages for each other. 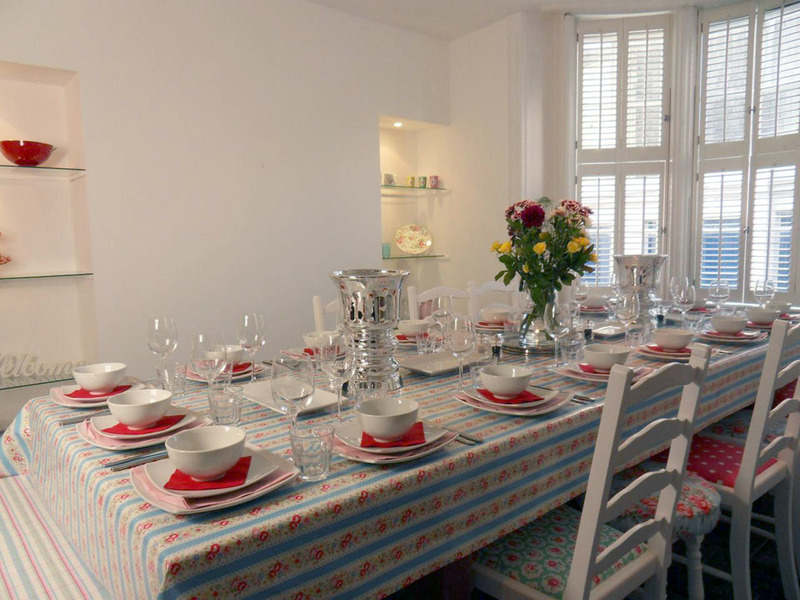 The kitchen features a 6 ring range oven and a large fridge/freezer along with a dishwasher and all the crockery, glassware & utensils you could need. 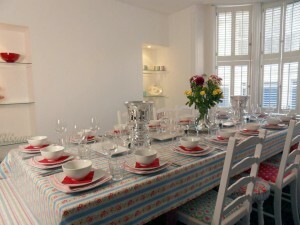 With lots of marble countertop space preparing food and drink for your group should be a doddle. Nibbles and drinks can be enjoyed whilst listening to the IPOD docking DAB radio. There is also a guest cloakroom/WC on this floor. Features a table with comfortable seating for 16 and 20 with a squeeze. 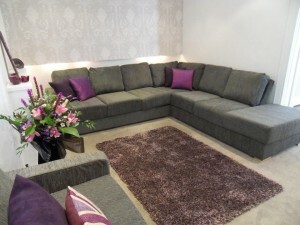 Ideal for a family get together, enjoying a roast dinner, gourmet food or just a chat with wine, olives and nibbles. Perfect for a lazy morning spreading the papers out while sipping coffee and munching on freshly baked croissants from The Real Patisserie bakery around the corner. The first floor features a large L shaped lounge with sea views from the bay window. There is a flat screen TV along with blu-ray dvd payer and ipod docking station. The room features 3 distinct seating areas which includes 2 full size double sofa beds and a single sofa bed for larger groups that need the extra sleeping space! 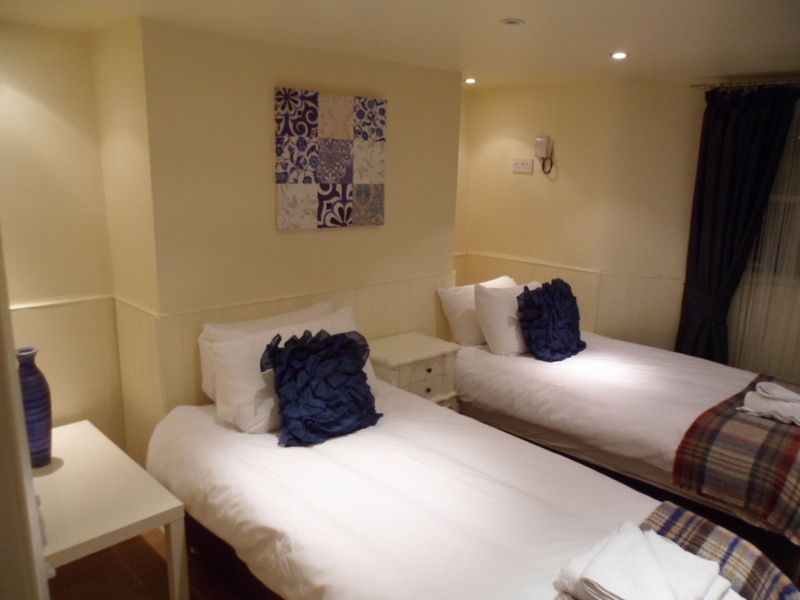 On the second floor are 2 bedrooms, the smaller one features a hotel quality zip and link king/twin bed and comfortably sleeps 2 and has city views over KempTown. The larger bedroom with its bay window facing the street sleeps 5 which can also be configured as a king bed with 3 singles for family groups. On the third floor is the first family bathroom with a full size bath and shower overhead. There is also a bedroom sleeping 3 with its own ensuite bathroom with both a bath and a separate shower. The hotel zip and link beds can be configured as either a king with a single or as 3 single beds depending upon your needs. This room features a full wall of wardrobes so plenty of storage space and sea views from the bay window. 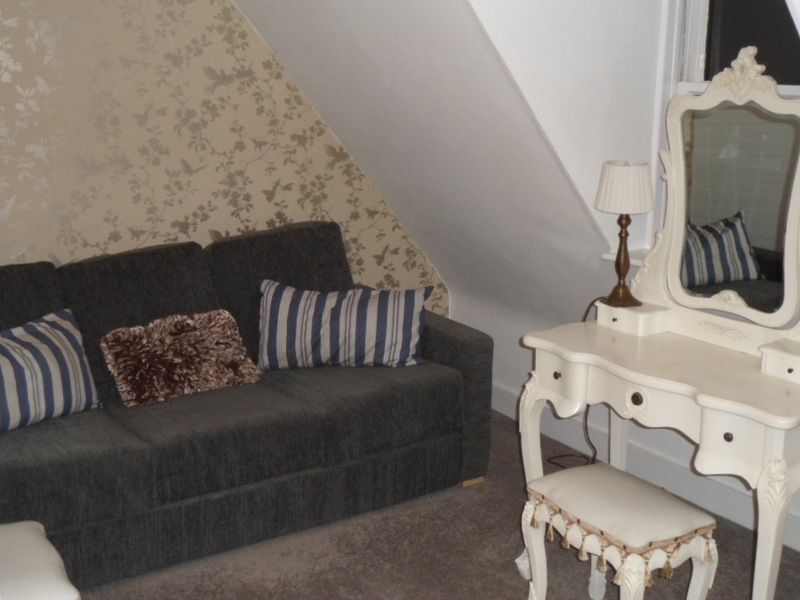 The top floor features a large living/dressing room with a 3 seater sofa and 2 make up tables, giving plenty of space for sitting and chatting as you get ready for a night out. It has fabulous roof top views over Brighton and the sea. This room also has a full wall of built in storage and a family shower bathroom. Overall this house has a great sense of space with plenty of room to store all your luggage and belongings. 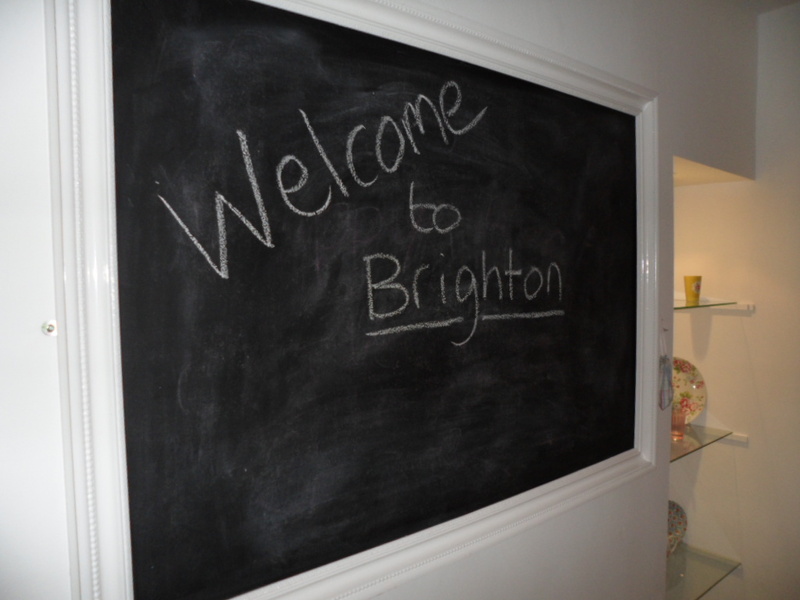 It is ideally located in a quiet residential area but easily accessible to all the action either in town or at the Brighton Marina.